Healthier Work is a free ACT government service under the Healthy Weight Initiative established to support employers to develop health and wellbeing initiatives within their workplace. Healthier work aims to build the capacity of workplaces to develop and implement programs, policies and practices that lead to healthy environments and sustained employee healthy lifestyle changes in relation to increased physical activity levels, healthier eating behaviours, smoking reduction/cessation, reduction of harmful alcohol consumption, maintenance of healthy weight and improved social and emotional wellbeing. training and support mechanisms for employers and workers. It makes good business sense for employers to invest in the health and wellbeing of their workers. The benefits to employers are increased worker morale and engagement, reduced workplace injuries and associated expenses, increased attraction and retention of staff, and improved corporate image. Healthier Work is here to help you every step of the way. 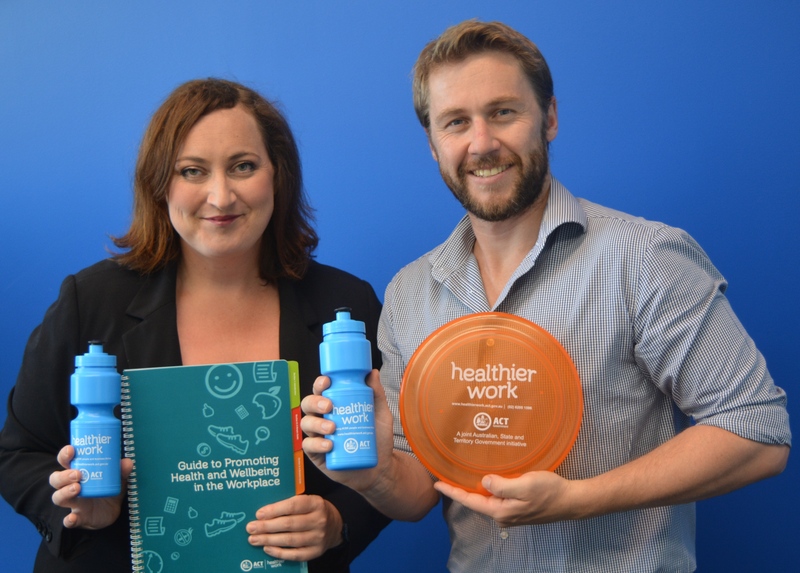 The ACT Government’s Healthy Weight Initiative is committed to supporting a healthy, active and productive community. For more information on the Healthy Weight Initiative click here.